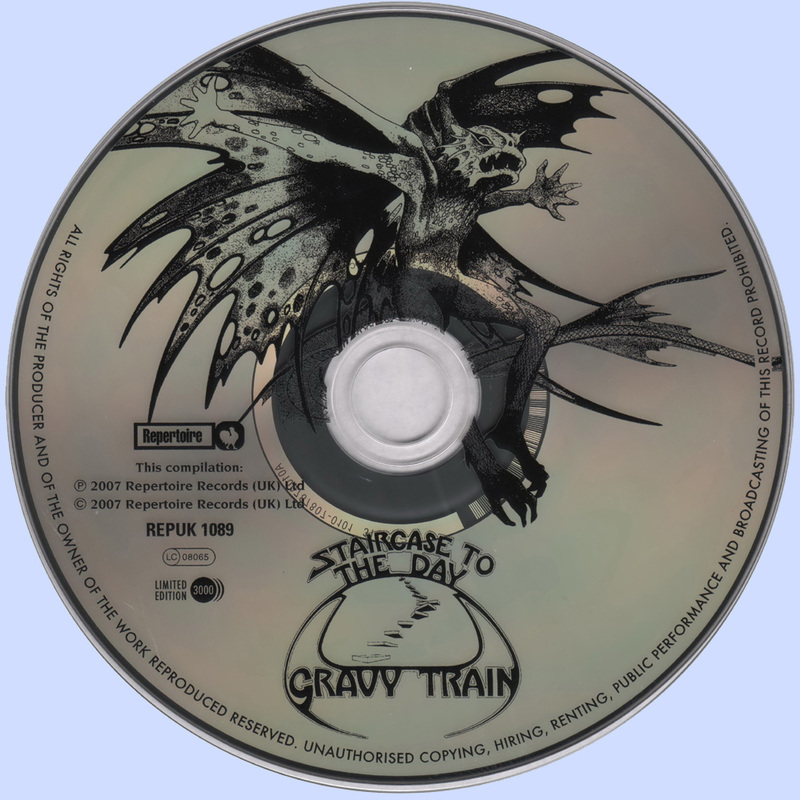 Released in 1974, Staircase To the Day would be the last album by Lancashire band Gravy Train, a band whose popularity (at least) on the live circuit would not be reflected in their album sales. Originally signed to the Vertigo label for their first two albums, the band then moved to the Dawn label which saw them release Second Birth in 1973. It was panned critically. 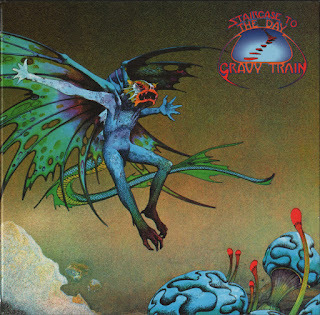 Thus the Roger Dean illustrated Staircase To The Day would be the groups' final fling at achieving success in the music business. The album itself is a nice collection of pieces, which synthesises the rock scene of the early seventies and features a myriad of influences or styles which we can readily associate with various other well-known bands from the prog rock/hard rock circles. From the opening Starbright Starlight, one can see that the band achieved a more cohesive and full sound when compared to their previous albums. This was due probably to two main factors: the addition of another guitarist (George Lynon), as well as the handling of production duties by Vic Smith (Vic Coppersmith-Heaven) who had just finished working on Black Sabbath's Vol. 4 and Judas Priest's Rocka Rolla and would in the future go on to work with The Jam. In fact early comparisons of the group saw critics referring to them as being in the same vein as early Jethro Tull, mainly to strong presence of J.D. Hughes' flute. On this album, the flute is "relegated" to a secondary role, only really appearing on the Moody Blues-esque, Mellotron-drenched Staircase To The Day and the acoustic The Last Day. Tracks like Staircase To the Day and Never Wanted You have a taste of Uriah Heap as well as Sensational Alex Harvey Band, while the closing Busted In Schenectady has a lovely bass/Mellotron interaction which is very reminiscent of Pink Floyd together with Mary Zinovieff's electric violin. On the other hand, we then have tracks such as Bring My Life On Back To Me and Evening Of My Life whose backbone is completely acoustic. Never Wanted You shows off Norman Barrett's strengths as a vocalist, as he rocks away on this number with some great interplay with J.D. Hughes' organ playing. 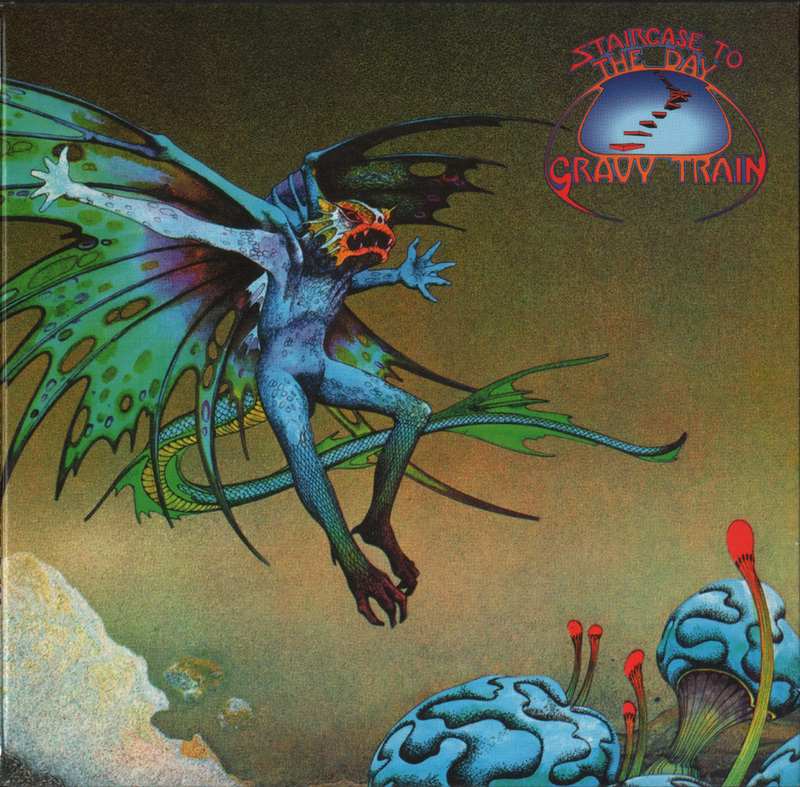 Staircase To the Day is a good spin, and indeed listening to this album/band makes one wonder why or how they didn't go on to achieve success, as some other of their contemporaries did. Luck and a question of timing probably played a role in all of this. Having said that, if you want to listen to good early seventies rock music, then this album will go down fine.